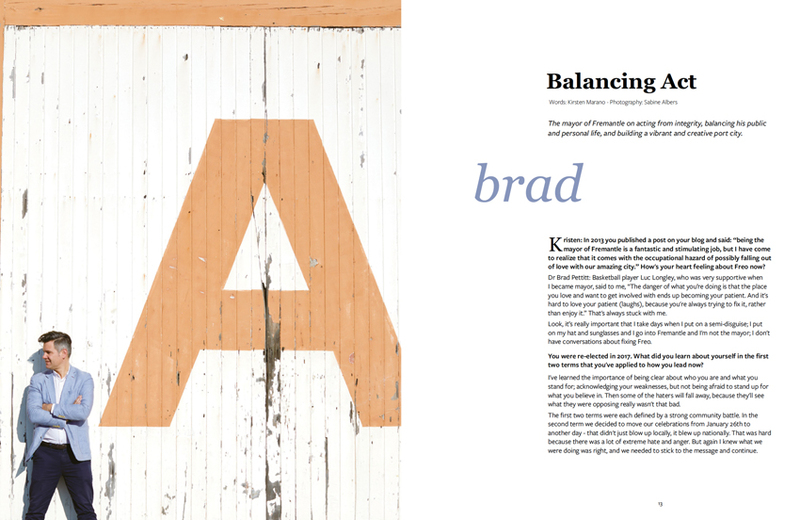 The following is from FREMANTLE Space, the fSpace magazine that explores work, life and community in Fremantle. 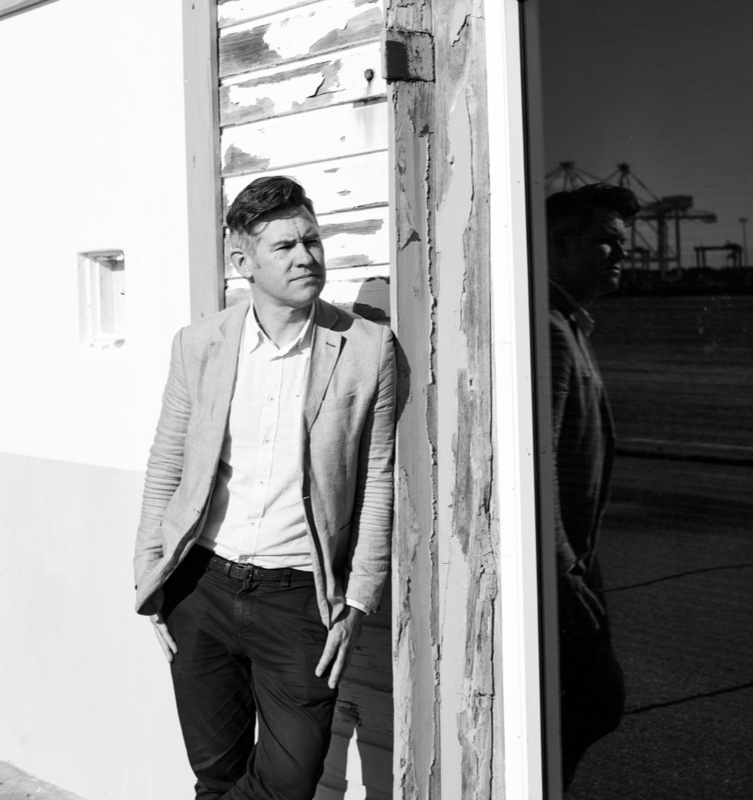 The Mayor of Fremantle on acting from integrity, balancing his public and personal life, and building a port town into a vibrant and creative city. fSpace: In 2013 you published a post on your blog and said: “Being the Mayor of Fremantle is a fantastic and stimulating job, but I have come to realize that it comes with the occupational hazard of possibly falling out of love with our amazing city. How’s your heart feeling about Freo now? Brad Pettitt: Basketball player Luc Longley, who was very supportive when I became mayor, said to me, “the danger of what you’re doing is that the place you love and want to get involved with ends up becoming your patient. And it’s hard to love your patient [laughs], because you’re always trying to fix it, rather than enjoy it.” That’s always stuck with me. Look, it’s really important that I take days when I put on a semi-disguise; I put on my hat and sunglasses and I go into Fremantle, and I’m not the mayor; I don’t have conversations about fixing Freo. You were re-elected in 2017. What did you learn about yourself in the first two terms that you’ve applied to how you lead now? I’ve learned the importance of being clear about who you are and what you stand for; acknowledging your weaknesses, but not being afraid to stand up for what you believe in. Then some of the haters will fall away, because they’ll see what they were opposing really wasn’t that bad. The first two terms were each defined by a strong community battle. In the second term we decided to move our celebrations from January 26th to another day—that didn’t just blow up locally, it blew up nationally. That was hard because there was a lot of extreme hate and anger. But again I knew what we were doing was right, and we needed to stick to the message and continue. Do your professional and personal values ever conflict? No, I can’t think of when they conflict. I guess that’s part of integrity, is making sure that what you do is aligned. I remember someone asking me around the Australia Day stuff, “how do you wear it all?” I wasn’t that stressed to be honest. I was slightly frustrated around what I thought was a stupid conversation, and the hysteria and unwillingness of people to have a dialogue. It was pretty clear in the conversations with the Aboriginal community, that it was what they wanted to see happen. It was logical, and it was a conversation the country needed to have. Then I realised the reason I wasn’t stressed was because, if you’re doing it from a space where you don’t feel internally conflicted, then it’s easy. There are a lot of small battles you could have out with people and I think, where’s it going to take you? I don’t always succeed at that, but that’s certainly the goal I try and set for myself. Yeah. You’re present in the community. 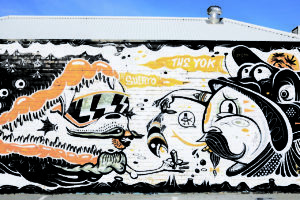 You’ll enjoy a drink at Who’s Your Mama, stroll around MANY, and DJ at events around Fremantle. Does being open work for you? Do you ever feel suffocated? Occasionally but not often. I still go to a café at least once a day and read the paper and do some emailing. Sometimes people come up and ask a question, or they come up and say hi and leave you alone. That’s pretty cool. The balance still feels okay. How do you like to spend your time at home? I enjoy pottering and making things, whether it be making a sand pit for my daughter, which is what I did last weekend, or little things like gardening. But, I also like writing; that’s one of my new ambitions for the next 12 months is to make a lot more space for writing. The idea is to step out a bit more and think bigger picture about, what does leadership for livable, sustainable cities look like? What are some of the lessons that Freo and Freo’s journey can share with other places, and what can we learn from other places? How isn’t Freo realising its potential? Oh, hugely, in so many ways. WA as well. We haven’t realised our potential as amazing destination for tourism with a heart. We get a sense that international tourists are really fascinated by WA and it’s uniqueness; a big part of that uniqueness is the fact that we’re home to the oldest culture on earth. We have potential for an amazing city where jobs can be next to where people live, which is next to where they recreate, and we can really build a community on that basis. But we don’t, we have everybody traveling by car to the same location for a job…we wonder why we have congestion. They’re a result of the choices we make, but all those can be fixed and solved. 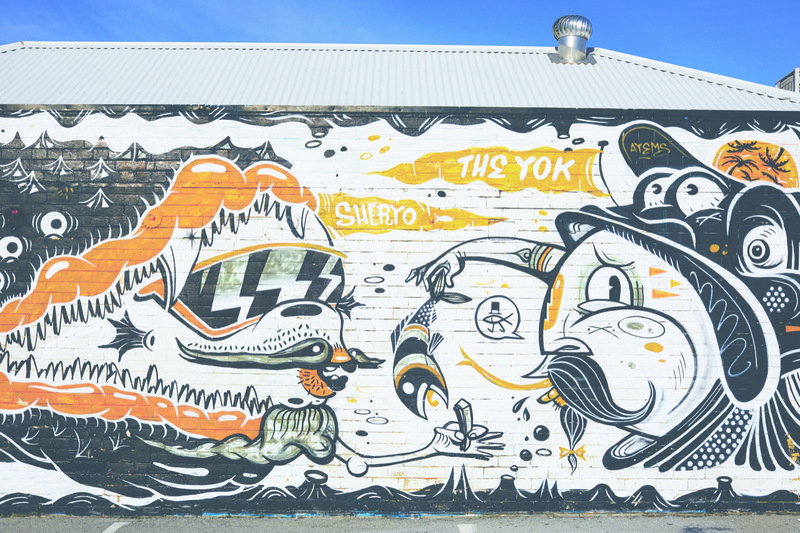 Fremantle is an accessible and welcoming place for creativity. How do we keep people here, so they don’t go off to Sydney and Melbourne where they think a larger population will create more opportunities? That is our challenge: we’re isolated and small. But, I think there’s enough here. So, this is where it’s got to be part of a plan. It needs affordable spaces. You need creative structure, Internet, and those sort of things. You also need housing. We don’t want people, who are working here to live half an hour away. How do we actually make it, so that one of the reasons that you chose to work in Freo is because you live a 10-minute walk away? This is what has been exciting about fSpace. There’s a sense of momentum building towards Fremantle becoming a hub again for people who are creative, who are innovative entrepreneurs, who are willing to try new things, and fail fast and willing to be in Freo. Look out until the end of your term in 2021. Where do you wish for Fremantle to be? I want Fremantle to be a real beacon for others, because it says look, here’s a place where you really can live in interesting housing, work in interesting diverse jobs, and play in great new bars and cafés all within walking distance of each other. Because that’s rare in WA. I want Fremantle to be a vibrant community, but one that celebrates its difference in diversity. One that’s really welcoming and inclusive. And part of that difference is it will be a leader in sustainability and renewable energy and non-car based transport and good clever, urban density. You’re a new dad. What’s important for you to show Aoife in her first few years? Having a daughter you think about the future much more, and it makes you see the city differently again through the eyes of somebody else. It’s kind of that sense of what it’s that she loves in the city…mostly just swings, but you know [laughs]. She loves people. She loves going to places where there’s people, there’s life, and there’s movement. I want Freo to be a place she loves as well, but also one where, when she’s 20-something, she can afford to live in by herself. I don’t want Freo to be one of those places, where it just gentrifies, and it’s a place for a small elite and a lifestyle seeps out of that. The other really big challenge is really working hard to keep affordable working spaces and affordable living spaces in the heart of our city. 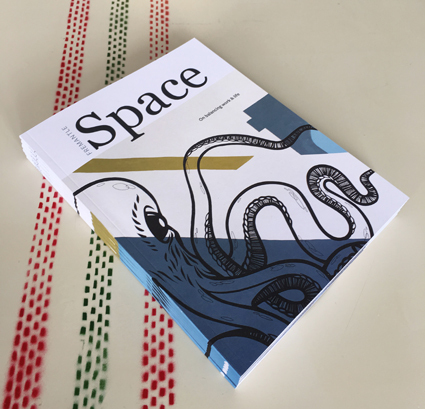 The following is from FREMANTLE Space, the fSpace magazine which celebrates the people who have embraced the ethos of small coworking space in the heart of Fremantle. It’s 9:05 am. You’ve just spent an hour in bumper-to-bumper traffic on your way to work in the CBD. You’re late for a meeting. You speed walk through the foyer past strangers who don’t make eye contact. You scan emails on your phone as you wait for an elevator. You push forward into an empty carriage before the ding announcing its arrival fades. You stare ahead, your thoughts alternating between your meeting and why the damn lift won’t go faster. Finally, the doors open to your floor, but your freedom from containment is short-lived as you sit in your small office. Rapidly pulling some papers together, you glance at a quote you printed on your first day: “You have to be the change you want to see in the world.” You cringe, knowing that yesterday was the same, and that tomorrow will be no different. THAT is the type of workspace that the coolest company you’ve likely never heard of wanted to avoid. 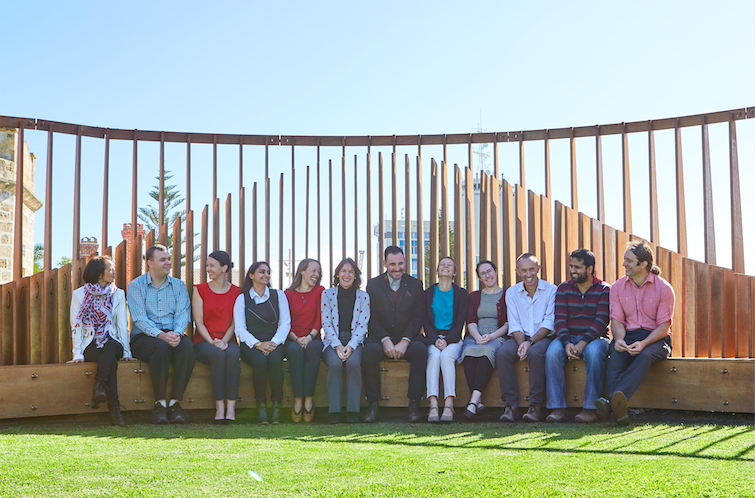 Fremantle-based Ausvet, a team of consultant epidemiologists, is the company which get calls from governments all over the world to explain the science of diseases and to discover solutions. I sat down with founder Dr Ben Madin to find out what Ausvet has been up to since they left fSpace, and also what they actually do. Ausvet also deals with human diseases. One such example is Goitre, a thyroid disease that is mainly caused by an iodine deficiency. The disease had not been an issue in Australia since salt was iodised, but Ausvet was brought in to investigate a resurgence. They discovered several reasons for its return, including the fact that much of the iodised salt in our diet has been replaced with rock salt and sea salt over the last thirty years. This loss of iodine consumption contributed to an emergence of the disease not seen since 1930. 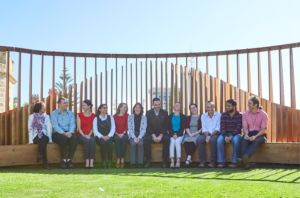 With six epidemiologists working from their homes around Australia, it wasn’t until 2014 that the business decided to add a fulltime employee. That’s when Ausvet joined fSpace to have, as Ben puts it, “A workspace that wasn’t just my kitchen table.” Growth took off and it was little more than a year later that Ben decided he needed to employ more people in WA and would need a larger space of their own. “We now have 10 people in Western Australia and 30 people globally, with key offices here and in Canberra, and a growing presence in France.” His team mostly travels to their clients to conduct investigations and collect data, but they occasionally stay longer (up to 7 months!) to implement solutions. Although growth continues to be a goal, Ben doesn’t want Ausvet to become a massive corporation. “We’d like to have a staff of maybe 60 to 70 across three or four offices, so we’re about halfway there.” Ben wants enough in-house people with different backgrounds to develop a unique solution to each problem, while still contracting relevant specialists. Through diagnostic work and subsequent trials, Ausvet is often involved in making significant changes to processes and policies in both business and industry. Focusing on research and solutions that can make a difference, Ausvet’s final reports include practical policy options so that changes can actually be implemented. They strive not only to solve problems but to inspire the owners of the problems to manage them, regardless of whether the problems are found on a farm, in an industry, even a country. This affirms the value that Ausvet places on sustainability and why they always keep the big picture at the forefront. They are particularly pleased that after working in Indonesia to develop a national animal and public health system, it is now fully managed by Indonesia, receiving thousands of individual messages a day from across the archipelago. 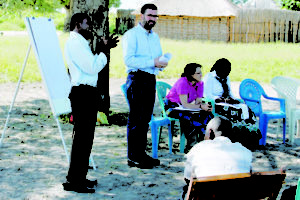 Ausvet reinforces their community ideology by creating solutions that actually work in practice, not just in theory. 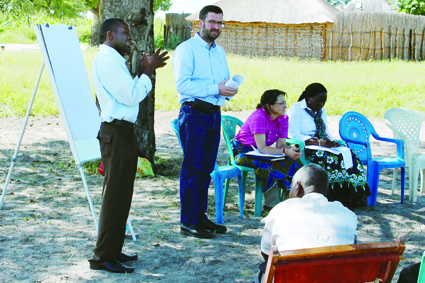 Making a difference to the health of a community is not just an aspiration; it is a prerequisite of their work. Our planet is one huge eco-system. The impact of humans on this ecosystem is undeniable, and we expect to see new diseases emerging continuously. Ben, although optimistic, realises that Ausvet can’t change everything. “We are not trying to solve all the world’s problems, but we feel very strongly that we can have an impact in some way.” Ben’s team is actively trying to change perceptions of those in power that there will be a single silver bullet solution, and those who treat the symptom instead of dealing with the often-complex causes of the problem. Ben believes a workspace can have major impacts on lifestyle and happiness, as well as on the focus and determination of a staff. Ben also believes that just walking around your area can remind you of what is important in life, adding “If you just drive your car into a basement of the office you work in, you’re not engaging with your community very much.” This engagement with community and sense of purpose are cornerstones of his business philosophy. Ben’s time at fSpace influenced him to engage with others, which in turn became an important aspect of his business. When Ausvet moved into its own space, Ben focused on creating an environment that would inspire his team more than a paycheque. By treating them as members of a community rather than reinforcing a hierarchy, Ausvet is more focused on solving problems than running a traditional business. 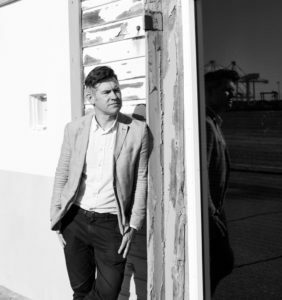 According to Ben, basing their operations in Fremantle is “probably a mix of pure practicality and slight idealism.” Ausvet wanted to avoid the congestion of the Perth CBD while remaining connected to public transport to limit their use of personal vehicles. Heavily involved within the agriculture and aquaculture industries, they are close to Murdoch University and the hospitals with which they work. Fremantle’s port city artistic heritage also provides a beautiful scenic place to walk around with ample options for lunch and coffee; all of which contribute to the revitalisation of spirit and focus. With a vision of ‘one world, one health’, Ben and Ausvet will continue to do what they can to solve health problems and encourage decisions that lead to a healthier and more sustainable planet.